Do you like what you see? Nothing could be simpler or faster than setting up your team with its own FREE Team Calendar AND complete website. After you receive your email confirmation, you are ready to create your Team Calendar and let your players know that they now have their very own team website. A website and internet address for your team. Absolutely free of charge! Keep everyone notified easily and efficiently. 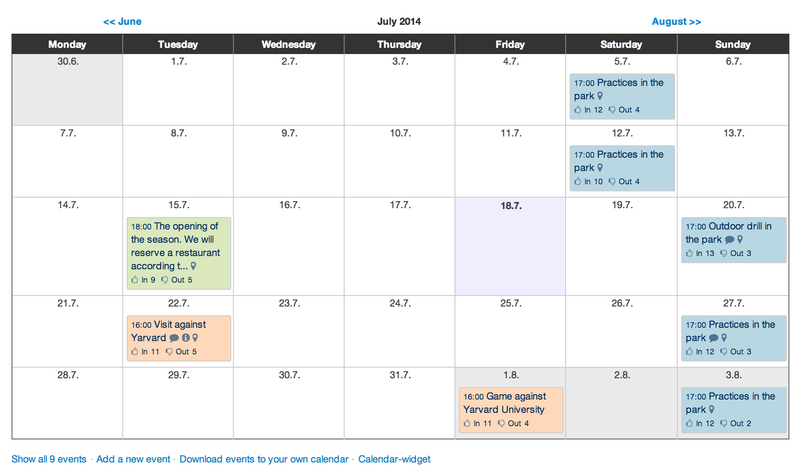 Coordinate your team's games and practices with our online calendar. Gather sign-up lists for team events on one page. Quickly inform everyone of last minute changes. Share photos and important files with your team. Arrange your team roster into groups. All information is available 24/7. Playerlineup.com is a free service for sports teams. Welcome aboard! Our Team Calendar is not limited to Sports! A group of friends uses the calendar to schedule their social events, such as evening get-togethers and road trips. A group of sports fishers uses the calendar to make sure everyone has equal access to the group boat. A teacher collects attendance statistics of her students and notifies them of schedule changes and important issues. A gym notifies its customers of class openings and collects sign-up lists for aerobics classes. Welcome abroad! Create your own calendar. After you receive your email confirmation, you are ready to create your Group Calendar and let your members know that they now have their very own club website. 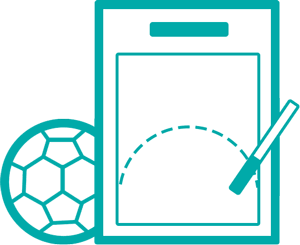 Check our HOME and MORE FEATURES pages for all the other cool things your club website can do for you – including a Newsletter no one has to write!